What does one say about these sorts of things? I’ve never been particularly articulate at moments like these. 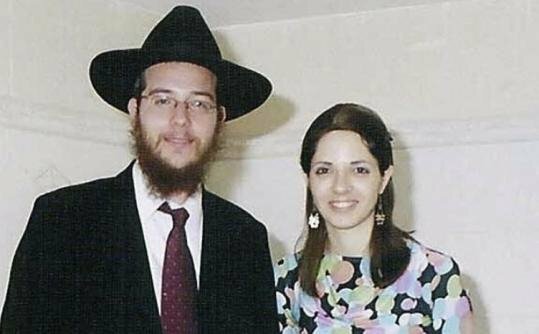 Before Shabbos, most Jews around the world were praying for the rabbi and his wife in Mumbai. And then, we were stunned by news that this very young couple had been killed in the tragedy. My sister recently noted that I make it a habit of pointing out when there are Jewish actors in a film. I told her I do the same when I notice Latino actors. But it struck her as a little bit racist. I think that I do this because I identify with these people even more when I am connected them by race, ethnicity or faith. I think that’s what made it particularly difficult to hear the updates from Mumbai. All of us in the Jewish community identified with the Holtzbergs and when we heard that they had been killed, it was like someone in our family had died. It could have been any of us. A tall price to pay for being Jewish. Thank you for this clear and lovely article. You said it perfectly. I feel sick over what has transpired. continue to vocalize. Honestly, I cried after learning of what happened to the Holtzbergs. It’s as you said, we are a very tight community, cutting even one of us off will effect us all. I thank G-d for the miracle that the baby was saved, but there is such sadness thinking that he will never know his parents.